It’s a simple request − and it’s got jewelers and designers around the country lining up to show off their best pieces for Danielle Miele, the GIA alumna behind the exuberant style blog, Gem Gossip. It probably doesn’t hurt that Miele, a GIA GG based in Nashville, has more than 55,000 followers on Instagram. But equally compelling is the blogger’s sheer enthusiasm for showcasing beautiful jewelry and the people who create and sell it. 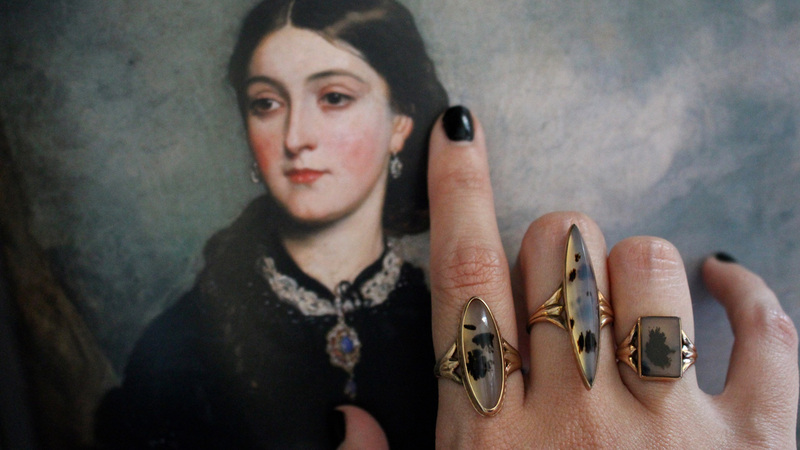 She shares jewelry trends, antique and period jewelry, celebrity jewelry and designer interviews in Gem Gossip, and indulges in unabashed admiration for her favorite pieces in the ongoing “Show Me Your Rings” feature. She’s also something of a globe-trotter, and fortunately, blogging doesn’t keep her tucked behind a computer. 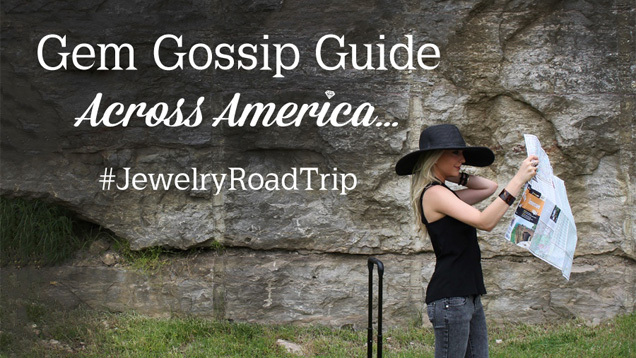 Gem Gossip’s #JewelryRoadTrip project – an evolving “state-by-state jewelry directory” has her crisscrossing the United States in search of jewelers and designers to profile. Miele is welcomed everywhere, from family-owned retail shops in Pittsburgh to Stephen Webster’s London design studio. As popular as Gem Gossip is, it may seem surprising that the blog was Miele’s first professional foray into the world of jewelry. But her grandparents brought Miele and her sister pieces of jewelry after regular trips home to Italy throughout the girls’ childhood. 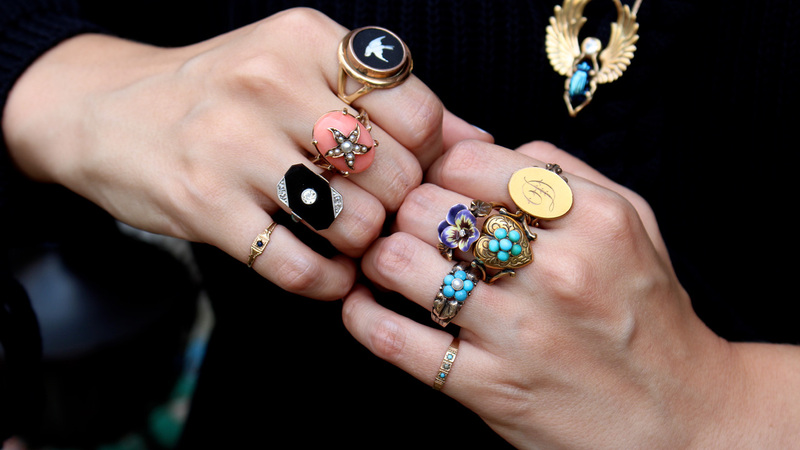 “That’s what spurred my interest in jewelry,” she says. Miele’s entire family decided several years ago that it was time for a fresh start and new environment, and moved to Nashville, Tennessee. There was no job awaiting her, but Miele – who had already earned a bachelor’s degree in childhood education and a master’s degree in science education – created her own opportunity. 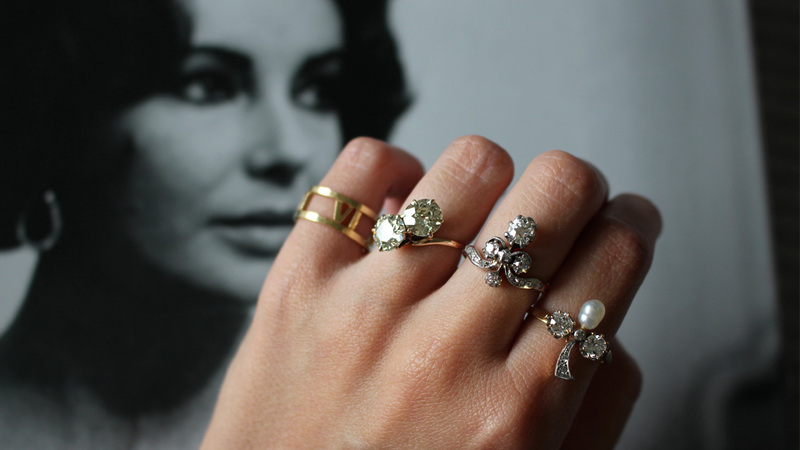 “I began my new life in a new city by starting the blog and following my passion for gems and jewelry, which I had always wanted to pursue,” she says. Not long after she launched Gem Gossip, local antique store owner Michael Walton, GG, noticed her work and reached out with a job offer. Stunned that her labor of love could lead to a paying job, Miele accepted. It soon became apparent to them both that Miele needed to take the next step in her education and career by earning a gemology diploma. On her first visit to the Carlsbad campus, that instinct was confirmed. “As soon as I walked through those doors, I got an overwhelming feeling of, ‘This is where I belong,’” says Miele, who studied through both the Distance Education program at home and Lab classes on campus. She was so excited, she shared what she saw at GIA in her blog. Miele has stayed in touch with several classmates since graduation, sometimes collaborating with them on jewelry projects. In addition to the professional network she’s built through the Institute, she appreciates the confidence it’s given her. Miele left her job as an antiques appraiser earlier this year to work on Gem Gossip full-time, and recommends that potential students in all phases of their careers consider studying at GIA. Jaime Kautsky, a contributing writer, is a GIA Diamonds Graduate and GIA Accredited Jewelry Professional and was an associate editor of The Loupe magazine. The Alumni Association's mission is to reach, serve and engage GIA alumni. Find information on chapter events, career opportunities and more. 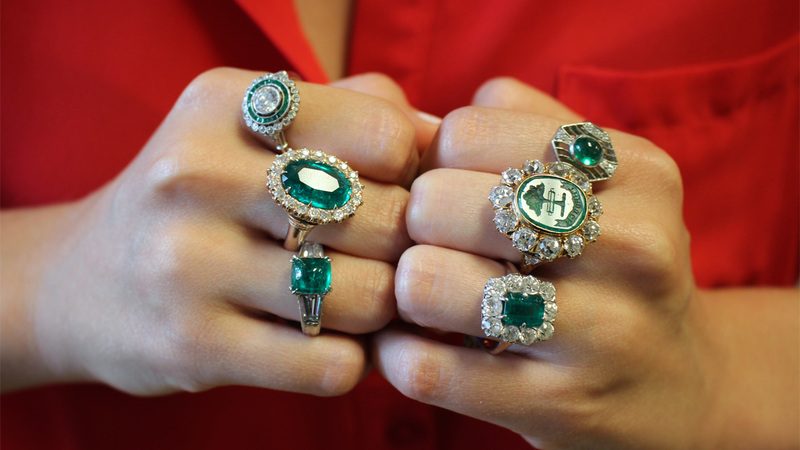 Explore the world of diamonds and colored gemstones. A look at the mining and distinguishing characteristics of this naturally vibrant blue sapphire. Alum writes about gem materials for visitors to Geology.com, his Earth Science website. Revival jewelry is inspired from the past – and connects us to the rich history of our civilization. Betty Sue King, founder of King’s Ransom, is a longtime supporter of the GIA Alumni Association. Alumni chapter leader wants to help develop Mexico’s third-most populous city into a thriving jewelry design and manufacturing hub.